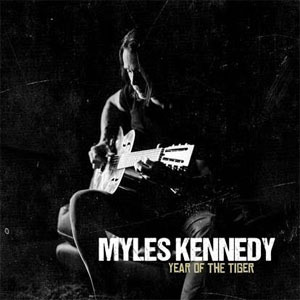 Myles Kennedy, one of rock music’s most-distinctive voices, is set to release his debut solo album Year Of The Tiger on March 9, 2018. The album will be released worldwide via Napalm Records. The acclaimed singer/songwriter known for his work with ALTER BRIDGE as well as with SLASH AND THE CONSPIRATORS recently completed the highly anticipated record. The album is available for pre-order in various bundle configurations HERE and www.MylesKennedy.com. On Year Of The Tiger, Kennedy embarks on his first venture as a solo artist by embracing musical elements and influences he hasn’t explored until this point in his career. What emerges is a 12-song concept record inspired by the loss of his father when he was a child. Kennedy himself plays banjo, lap steel, bass, and mandolin in addition to guitar throughout the album. From the opening guitar riff of album opener “Year Of The Tiger” to uplifting album closer “One Fine Day”, it is clear that these songs tell a story that has been brewing in Kennedy since the first mention of a solo album in 2009. The emotional journey and personal story of Myles is captured in a bluesy-americana album with a twist of country and rock, swirling and flowing around this incredible soulful voice the world has come to know.